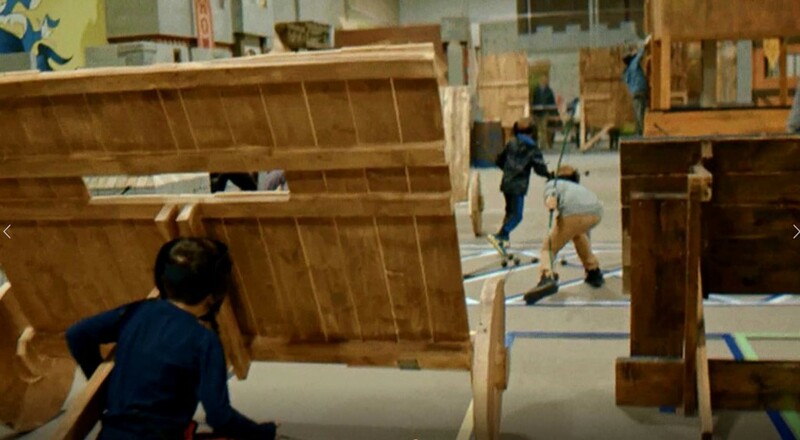 There’s Archery Tag, and then there’s Battle Archery! You deserve the best when it comes to having fun. 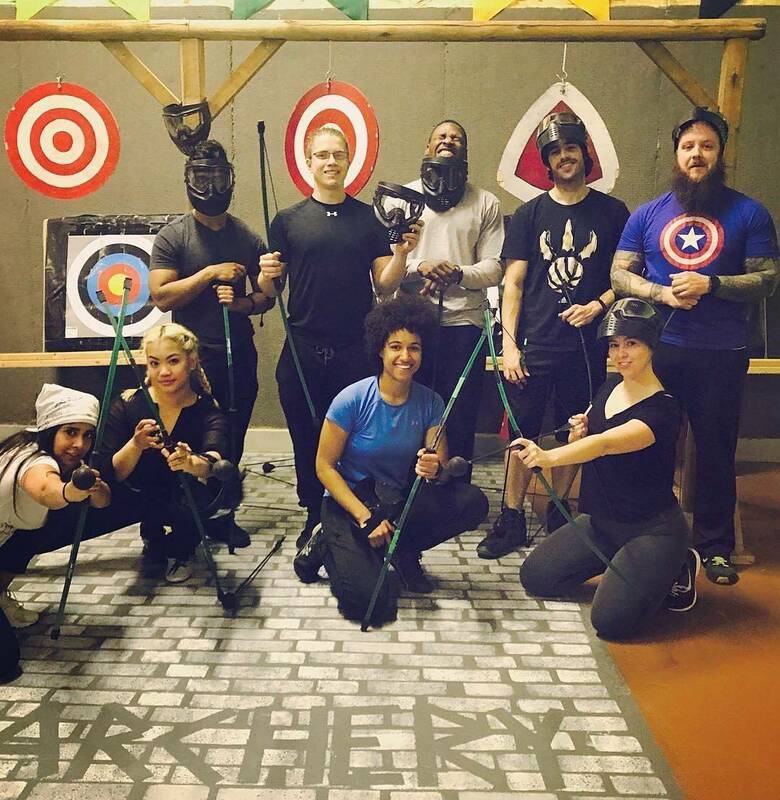 You’ve found the #1 archery tag location in the GTA. Just ask our customers! 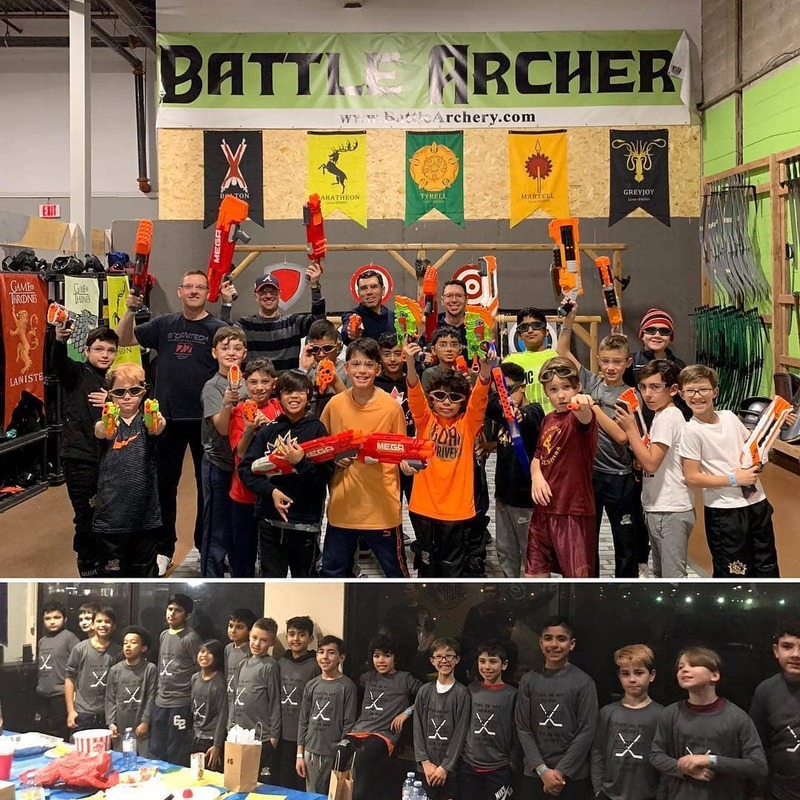 Offering the most engaging field and arena setup, sniper towers, castles, bridges, catapults, nerf wars battles, amazing atmosphere along with a fun packed lounge, team building events, kids birthday party ideas, awesome party rooms, and private options. Miles above the rest, there’s only one, Battle Archery. The value is unmatched! Ask about our weekday deals! 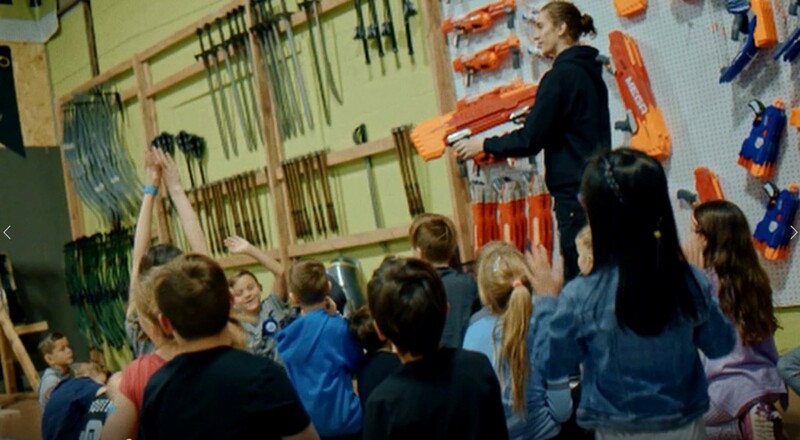 If you love Nerf, there really is no better place to throw your birthday party than here at Battle Archery. With over 300 Nerf blasters and more than 20 different guns including: Rival, Mega, and N-Strike Elite – You won’t be bored! 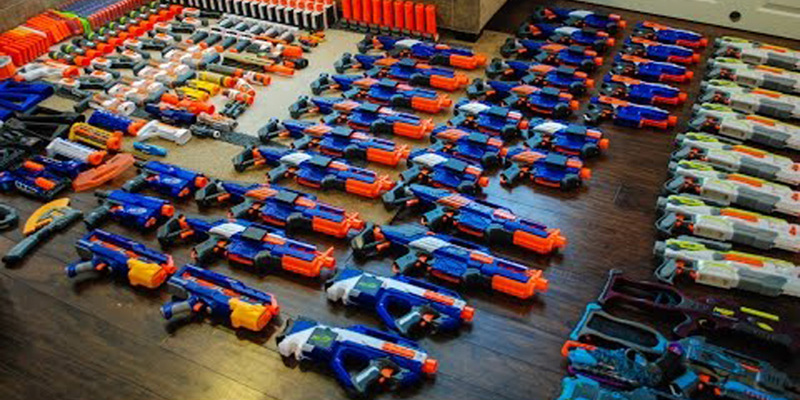 The huge selection of Nerf @ Battle Archery is unparalleled! With tons of different game modes and an amazing arena full of towers, obstacles, castles and more, you’ll love every second of it. 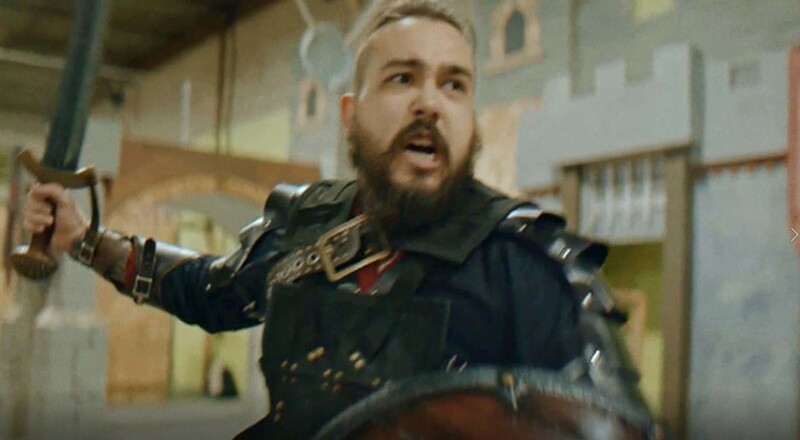 Mix in Battle Archery’s signature foam medieval shields, swords, and axes, and you’re all set to hit the battlefield! Our game masters have experience dealing with all age groups and have games suited to everyone’s unique style. The O.G. activity @ Battle Archery. Don’t worry, you don’t need to have previous experience. You’ll get all the training you need before the game. Grab a bow and let one of our trained instructors give you the step by step to mastering our bows. The bows we use are very beginner friendly so don’t sweat it. You’ll be firing off arrows in no-time. After hitting all the targets, it’s time to try a little bit of sword fighting. Don’t worry, if you get hooked, you can come back for our LARP sessions. After the training, our game master takes over and guides you through some epic team games that will definitely rock your socks! 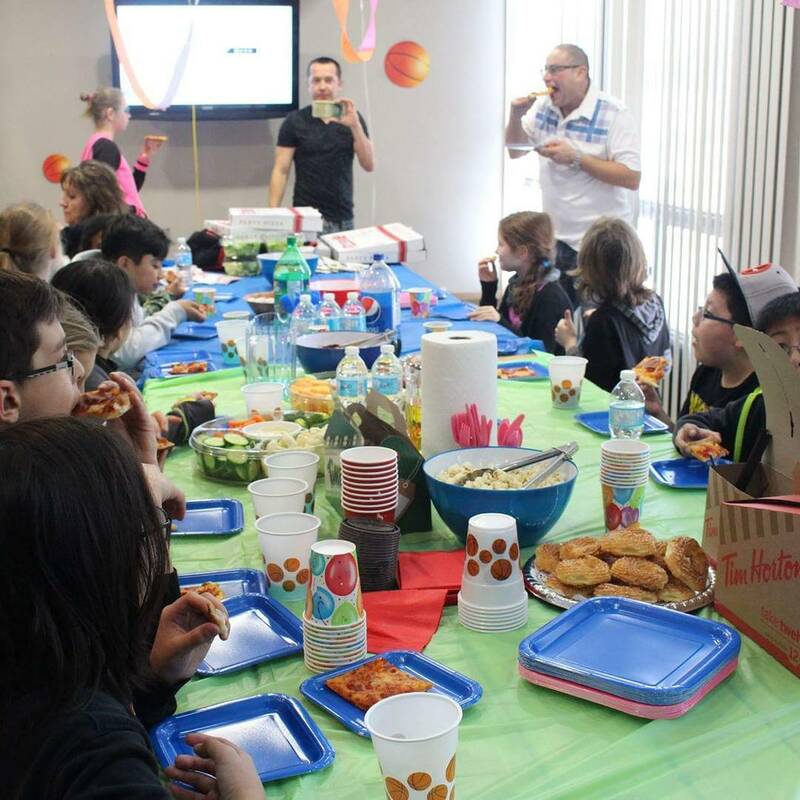 Throw the most unique birthday party ever! L.A.R.P. 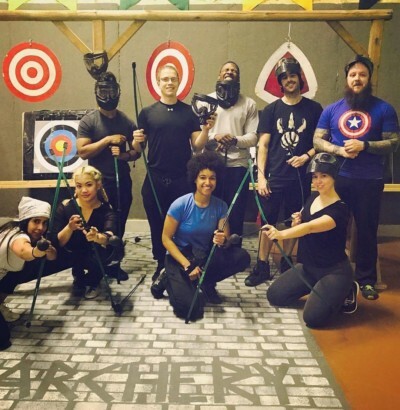 is Battle Archery’s unique experience offering an interesting mix of medieval weapons and role-playing style fun. Start off by a quick introduction to the world of L.A.R.P., learn about the different shields, helmets, and weapons. Then get ready to gear up by choosing your kit. You square off against your friends as you compete in mini-games, solve scenarios and duel your way to victory. This is an awesome team building experience and a great way to let off steam and have tons of fun with your friends! You also get to mix archery with the close combat weapons for some super diverse battles! Size matters at Battle Archery! Don’t settle for anything less for your kids birthdays, team building events or anything in between. Party rooms seat up to 30 participants each! Lounge reservations available! Accommodations of up to 100 players. 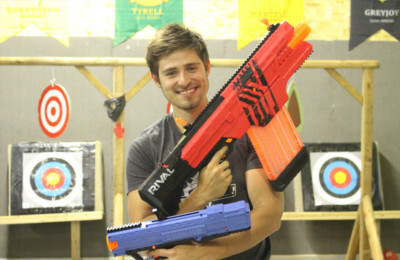 Awesome options consist of battle archery or nerf wars! Choose one or mix it up! Plan it how You want it! Use Bows, Swords and Shields. Climb Sniper towers or use the fortifications! Castle walls, barrels, crates and hanging targets! Unlike any other archery tag location! Easy and quick to learn for all ages! Our prices start at $25 per person. We offer varying team rates during tournaments and discounts on private groups. Make sure you choose the #1 Archery Tag location in the GTA. The best when it comes to team-building events near Toronto. Make sure your whole group has an amazing time and talk about it for the rest of the year! Battle Archery has the space to accommodate groups of all sizes and private options to make your event special! Team building activities include mini tournaments, full facility reservations, nerf wars, and more! Have you already tried Battle Archery? 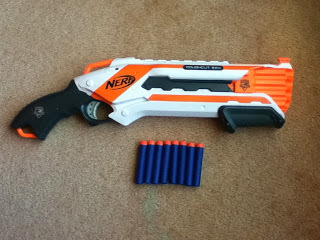 Why not try Nerf Wars! 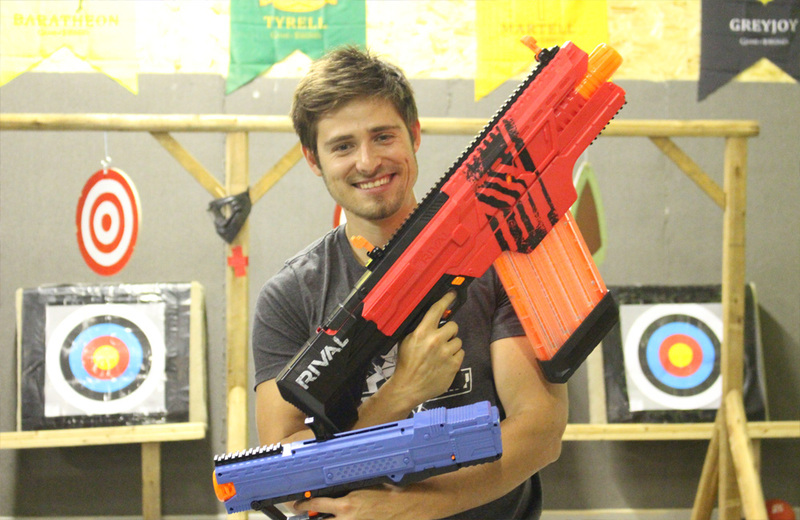 LET LOOSE IN THE ARCHERY TAG ARENA!